Sea cucumbers, feral camels and Malcolm X. They have all played their part in the centuries-old link between Australian Aboriginals and Islam. 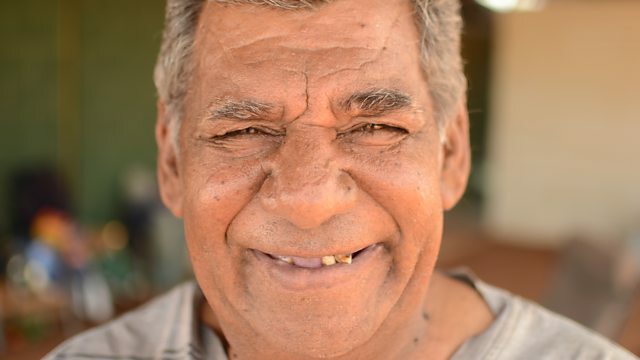 Janak Rogers explores this link for Heart and Soul, and how Islam is still playing a role in the lives of many Aborigines from the rural outback to the bustling city of Sydney. Janak starts his journey in the city of Makassar in Indonesia where teripang, or sea cucumbers, have been caught and traded for hundreds of years. As the trade grew, so the fishermen cast their nets further and further afield, eventually landing in northern Australia. Rock paintings show that Makassans and the Aboriginal people were trading trading for at least 400 hundred years - two centuries before the British colonised this huge island. The Makassans left a legacy of art, music, and faith. As he travels around Australia, Janak explores more of the connections between Islam and indigenous people. He travels to the central Australian town of Alice Springs where the Arrernte people have lived for up to 50,000 years. It’s here that he finds the trade in camels has played its part in the rise of Islam in Australia. There are around a million camels roaming wild in the outback, introduced by Afghans in the nineteenth century. Janak meets Raymond Satour and Azeem Khan, two of the many descendants of the camel traders, to hear about the role Islam has played in their families’ lives. From the dusty outback, Janak then moves 3000 kilometres to Sydney. He and meets rugby player and 3-time world champion boxer Anthony Mundine, who introduces himself as “the best athlete to come of this country and even worldwide”. Mundine is a member of the Bundjalung people and converted to Islam after reading the autobiography of American civil rights leader Malcolm X. After reading it, twice, he realised that there were links between Islam and his own spirituality, a link forged by the words of Malcolm X. Janak hears a similar story from other Aboriginals in Sydney. The Islamic-Aboriginal community in Australia isn’t a big one by any means, but it does open a window into how different cultures lived and traded centuries ago and how they found and shared a common spirituality that lives on today.